Hey now! Hey now! Hey now! I made us some drinks just in time for spring, y’all! 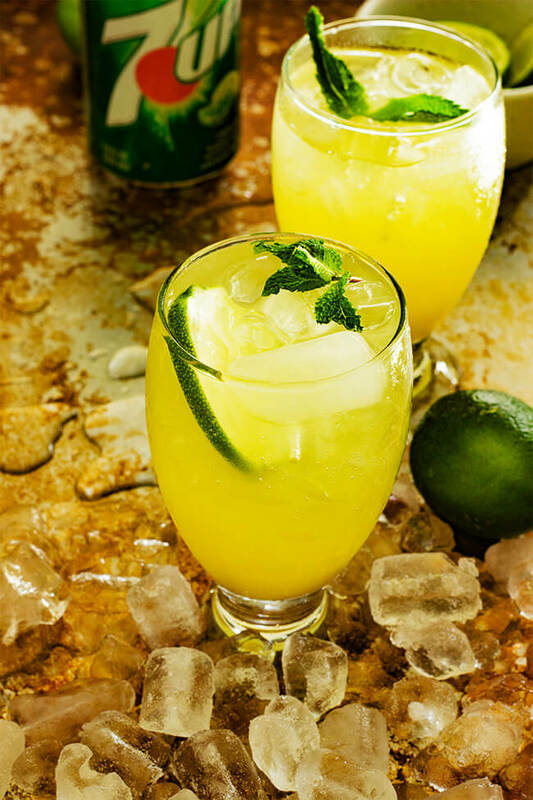 This drink is perfect for that weird season between winter and summer. Some people call it spring. You might have heard of it. 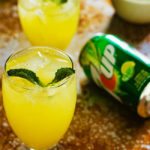 I’m so excited to share this super fun and refreshing drink with you guys. 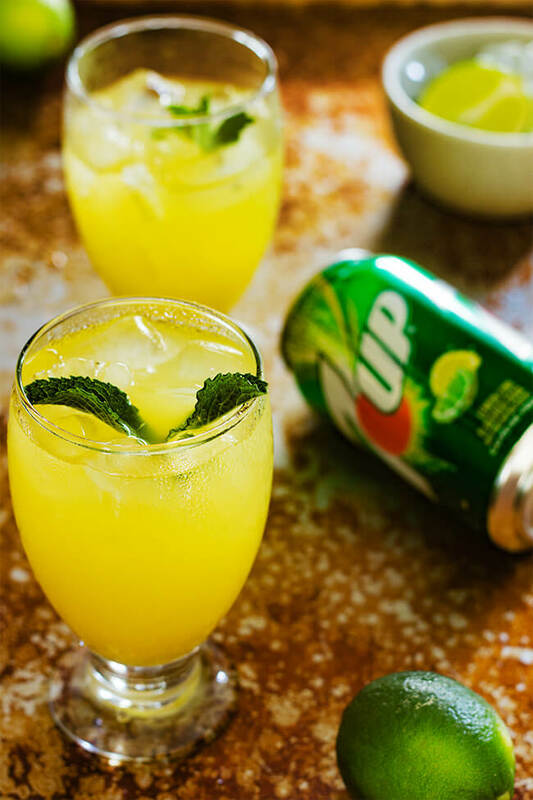 And did I mention it only has 5 ingredients- pineapple juice, ginger, mint, lime juice and 7UP®! Yasssssss! I know that the spring sports are a big deal in my house. Really, any sports tournament is a big deal around these parts. 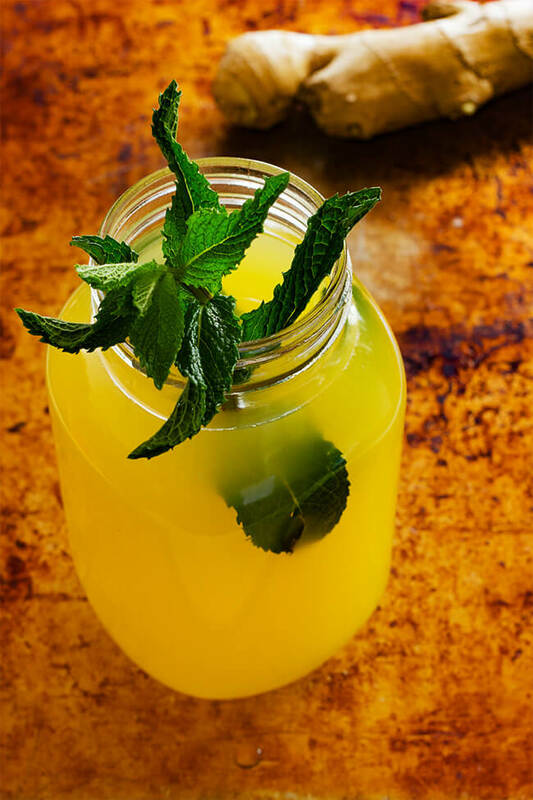 So I had to whip up a big batch of this super simple and refreshing punch. I headed to Walmart for a quick shopping trip to grab everything I could possibly need. I’m just gonna say I’m kinda obsessed with Walmart’s produce aisle. 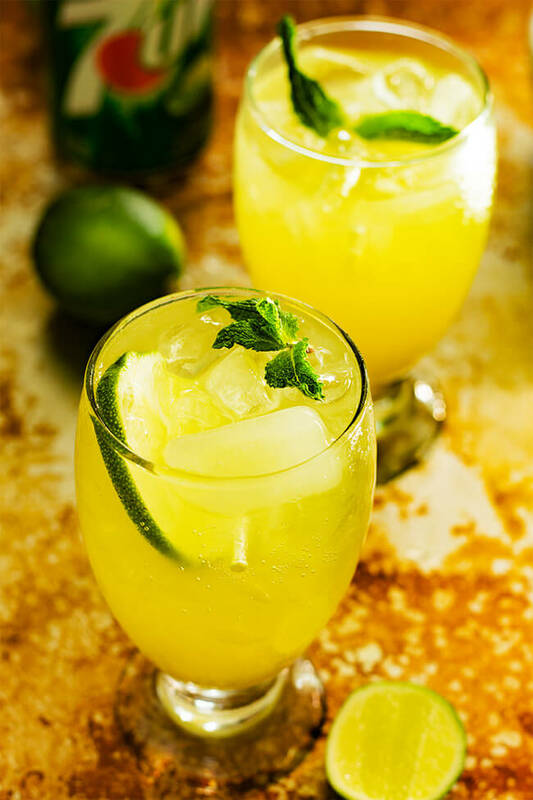 This drink is perfect for any event, any brunch date and it is perfect for everyone in the family because it is non-alcoholic. Or really for just whenever!!! 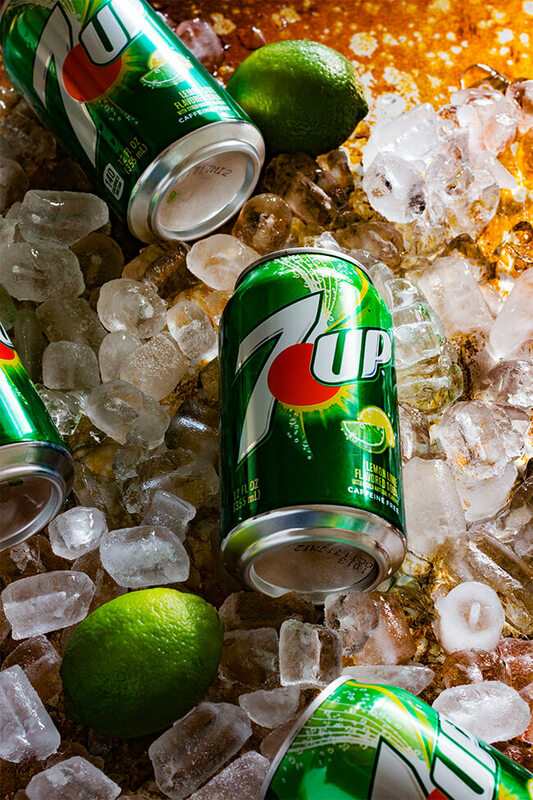 I will not lie, this is the perfect spring-summer drink. I love an easy recipe. I mean I love anything that is done in less than 5 minutes and the most complicated part is smashing and tossing ingredients into a jug. 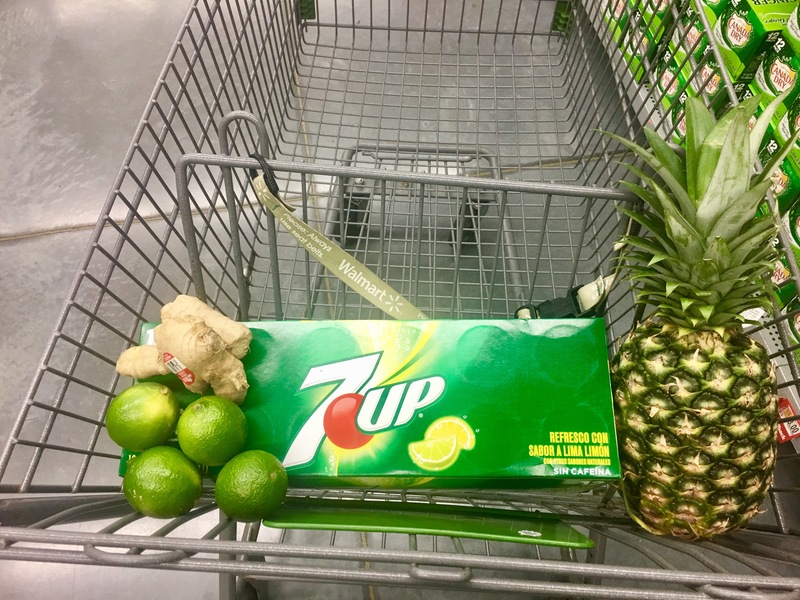 This Pineapple ginger 7UP punch fits this bill. These drinks are DELICIOUS. Everyone loved them. It is super refreshing and like I said before, really fun! This recipe is an adaptation of my Mom’s party punch. She always has a few bottles of 7UP in her party and fresh ginger on hand. She makes this drink for almost every occasion that I know of. Graduation, birthdays, the holidays… basically every time she can. I had so much fun making this recipe and taking the pictures. Make it for your next dinner party or potluck. Let’s #JustAdd7UP and get ready for the madness! Peel the ginger and smash the knub. Add to jug. 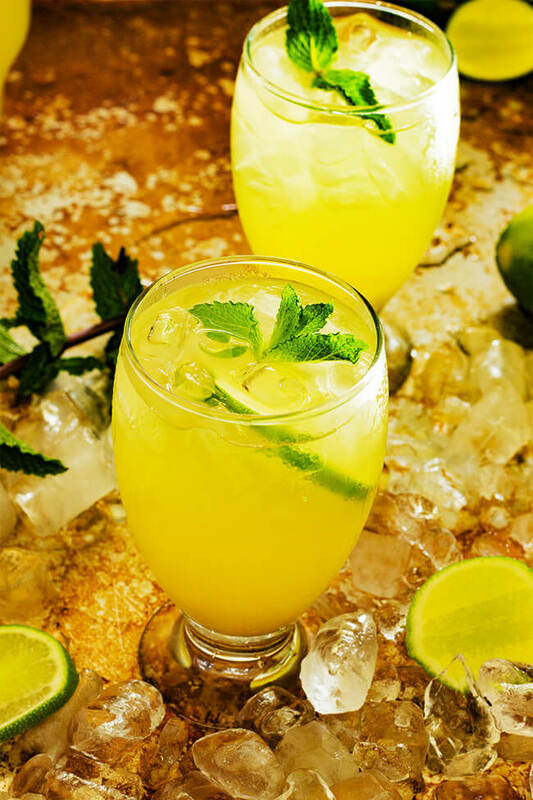 Add the mint, lime juice and pineapple juice. Cover and place in the refrigerator for at least 1 hour or overnight. When ready to serve add 7UP® and stir. Serve over ice. Note: The longer the ginger and pineapple seeps the deeper the flavor. Yup, yup. Had this last night. So good. Never thought of adding ginger but it was AMAZING! Hiya Layla!!!! I am sooooo glad you liked it.